April 21st, 2014 - Posted in Queens. 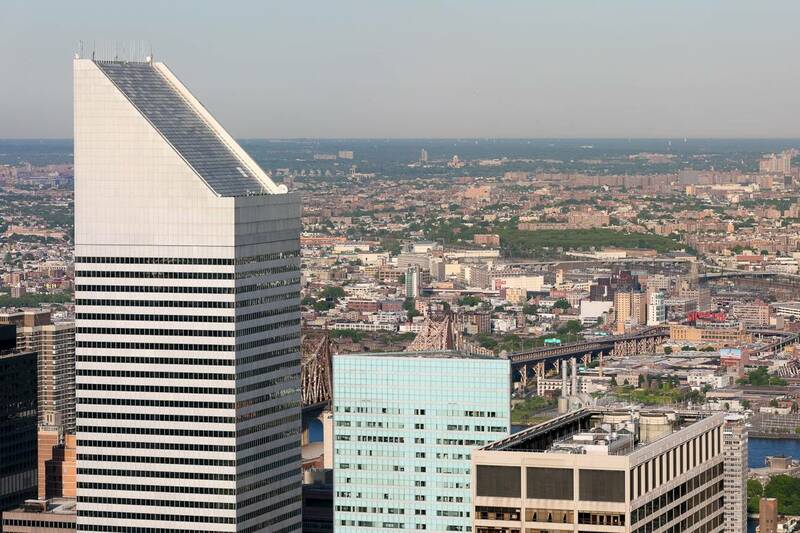 Welcome to the second article of our new series about the New York City boroughs! In the first article of the series, we introduced you to The Bronx. In this article, we’ll tell you about the most culturally diverse borough in all of New York City: Queens. Like The Bronx and Staten Island, Queens is often outshone by Manhattan and Brooklyn – which is a real shame, as this borough has so much to offer! The borough is made up out of many cultural enclaves that offer authentic shops, restaurants and festivals all pertaining to one particular culture. For example, there’s Chinatown in Flushing, Little India in Jackson Heights and a slice of Greece in Astoria, just to name a few. This makes Queens a true melting pot of cultures, and definitely a borough worth visiting. Queens also boasts some truly fantastic museums, sprawling parks and even a couple of white sandy beaches! There’s definitely a sense of space that you won’t find as easily in Manhattan, which means the borough is full of possibilities. In this article, we’ll show you some of the best things to see and do in the area. 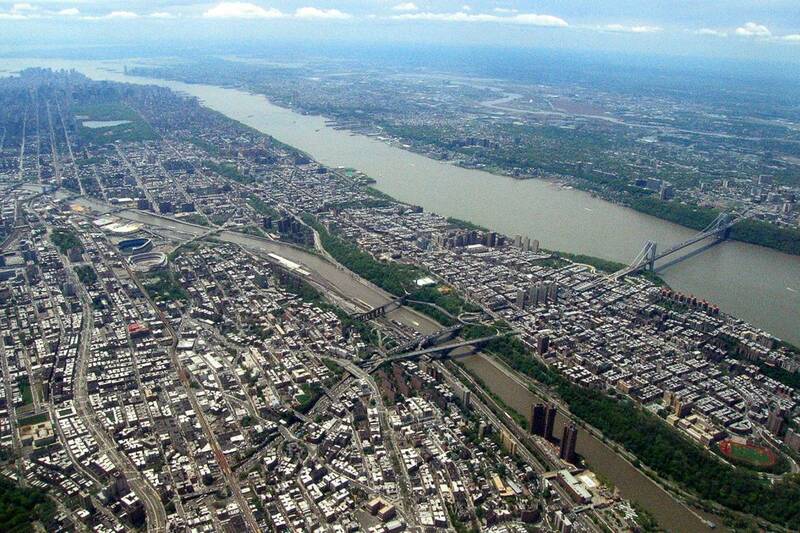 Queens is the largest borough of the five, and second largest in population (after Manhattan). It’s located on the western end of Long Island, and it’s bounded by the East River and the Bronx to the north, Hempstead to the east, Brooklyn to the south, and the East River and Manhattan to the west. The west side of Queens is very urban, while the eastern side is more suburban. Some of the best parks of the borough can be found in the south. 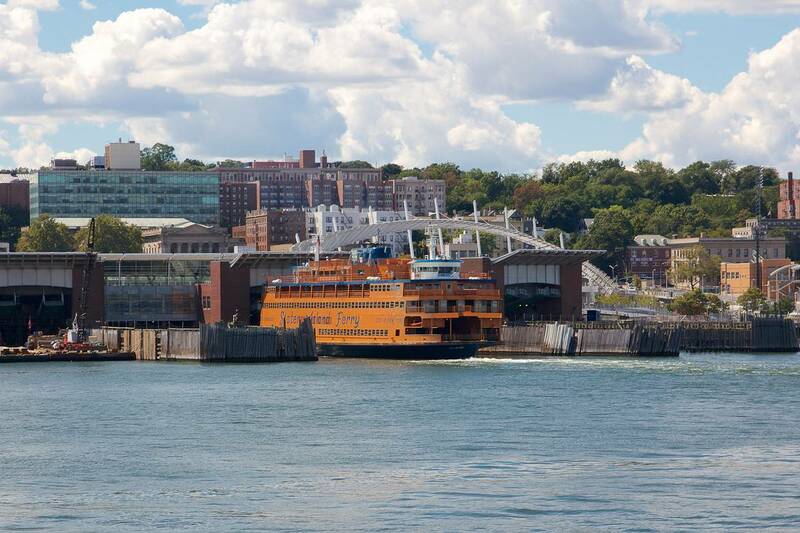 Queens is also home to both JFK International Airport and LaGuardia Airport, and features many subway lines and stations, which means it’s very well connected. The A, G, J, and Z trains connect Queens to Brooklyn, and the E, F, M, N, Q, R and 7 trains connect Queens to Manhattan. The 7 train is especially great if you want to get a sense of the borough, as it runs mostly elevated through Queens. The borough has many authentic cultural enclaves. Flushing has a fantastic Chinatown, Jackson Heights features many South-Asian shops and restaurants, and even has a Bollywood movie theater, while Astoria is known for its Greek heritage. Together, these enclaves make Queens a fantastic and vibrant borough, one which you will want to keep visiting once you’ve been there! It won’t come as a surprise then that famous (former) residents of Queens include Donald Trump, Simon & Garfunkel, Nicki Minaj and Lucy Liu. Do as they did and explore Queens like a local! While not as flashy as the skyscrapers of Manhattan, Queens boasts many beautiful landmarks. 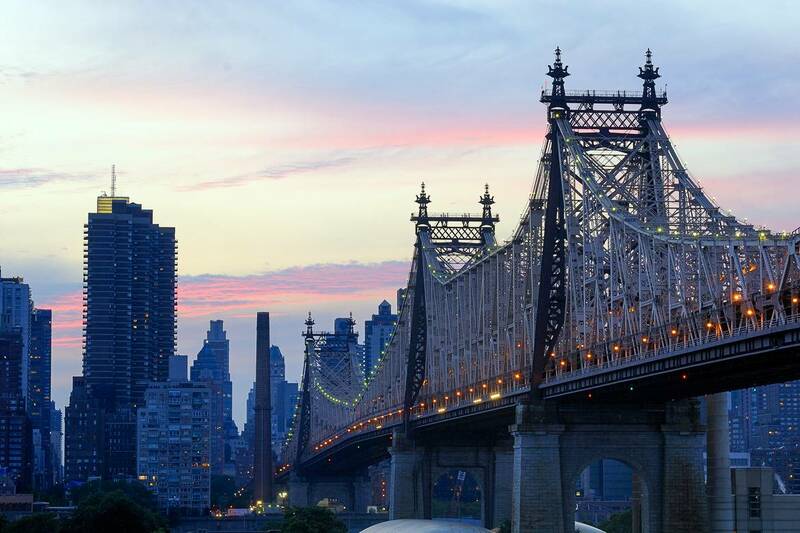 The Queensboro Bridge is a true icon, and connects Midtown Manhattan to Long Island City in Queens. Then there’s the Unisphere, a 12-story high steel earth globe, Citi Field, home to the New York Mets, the Billie Jean King Tennis Center, home of the US Open Grand Slam, and the beautiful King Manor, a 200 year old house in Jamaica, just to name a few. However, Queens is perhaps even better known for its truly wonderful museums. The Museum of the Moving Image pays homage to the art, history and technology of the silver screen. The museum was renovated in 2011, and is now one of the most dynamic and fun museums in New York City. Check out A Movie Mecca Beckons for more information about the museum. The Queens Museum of Art was recently expanded and offers visual arts, cultural events and the Panorama of the City of New York: a beautiful accurate scale model of the five boroughs. 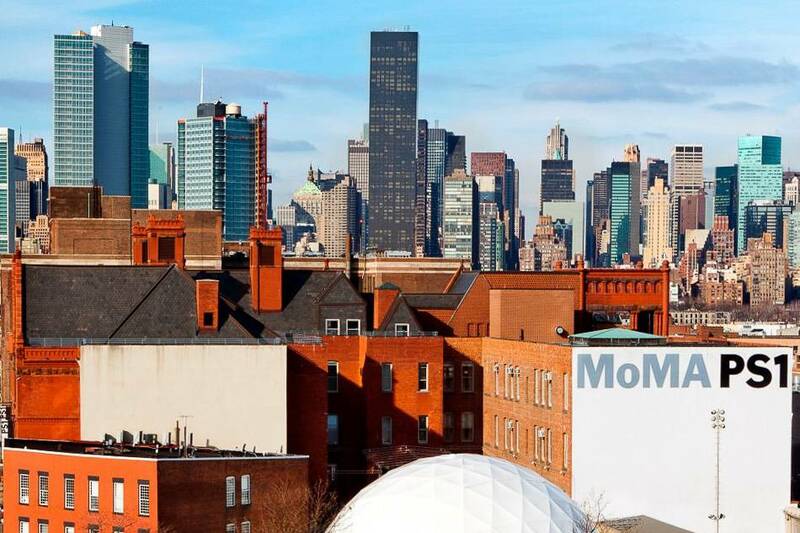 The PS1 Museum is affiliated with the famous MoMa in Manhattan, but offers a much more relaxed environment of contemporary art. The museum is located in a beautiful Romanesque building, which used to be a school, and the old classrooms offer wonderful spaces for the art on display. Other great museums in the borough include the New York Hall of Science, Queens County Farm Museum, Noguchi Museum, Louis Armstrong House, and the Museum of African Art. Queens boasts some great universities, such as Queens University, Queens College and Saint John’s University. When it comes to parks, Queens has a lot to offer. There’s the beautiful Queens Botanical Garden, smaller than the one in Brooklyn and the one in The Bronx, but much cheaper to visit. If you visit early in spring, you can see the magnificent cherry trees blossom. Gantry Plaza State Park is located on the banks of the East River in Long Island City. As such, it boasts marvelous views of the Manhattan skyline. Highland Park and Astoria Park are two other lovely green spaces in the borough. Flushing Meadows-Corona Park is home to the famous baseball team the New York Mets, and is also the site of the U.S. Open tennis tournament. 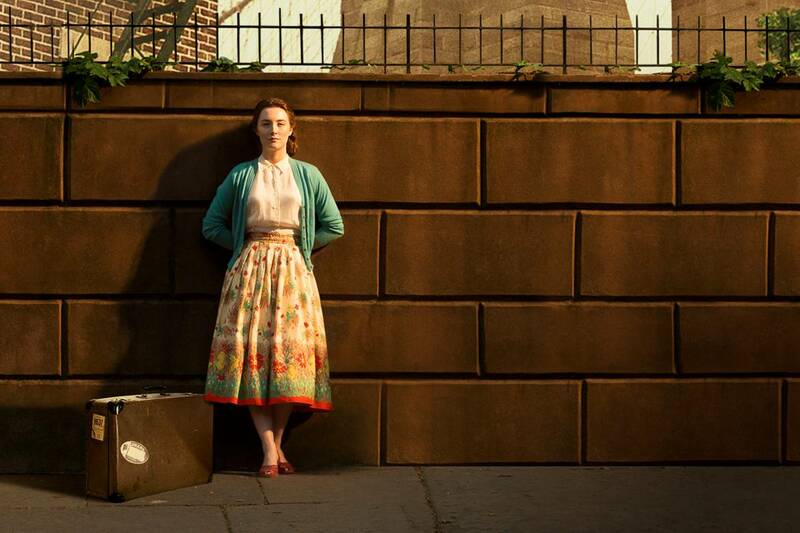 The park is well documented in movies. It was built for the 1939 New York’s World Fair on the site of a former ash dumping ground, which was characterized as the ‘valley of ashes’ in The Great Gatsby. 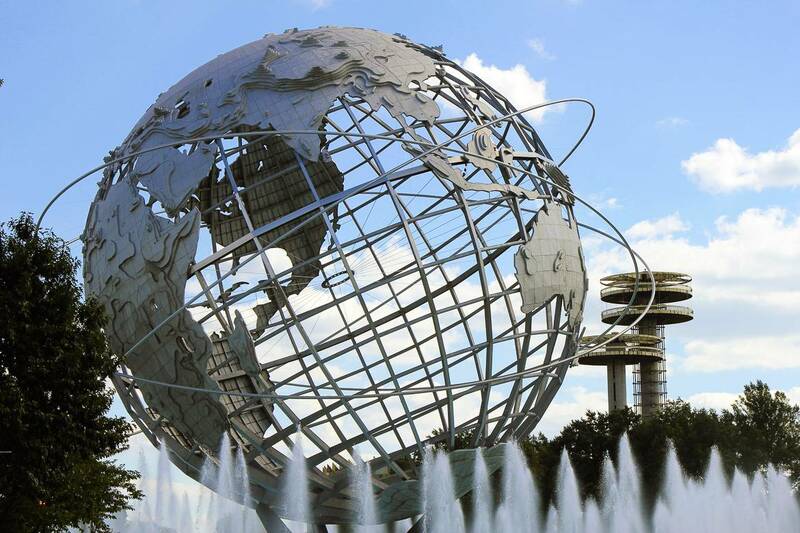 The present-day park also played a big role in the movie Iron Man 2, as did its Unisphere. Jamaica Bay is a huge wetland estuary (almost as big as Manhattan) in the south of Queens. The bay boasts many small islands and has a true labyrinth of waterways, which is teeming with wildlife, such as many seabirds. The bay is a fantastic spot for photographers, and also has great views of the distant Manhattan skyline (do remember to bring mosquito repellant in the summer!). 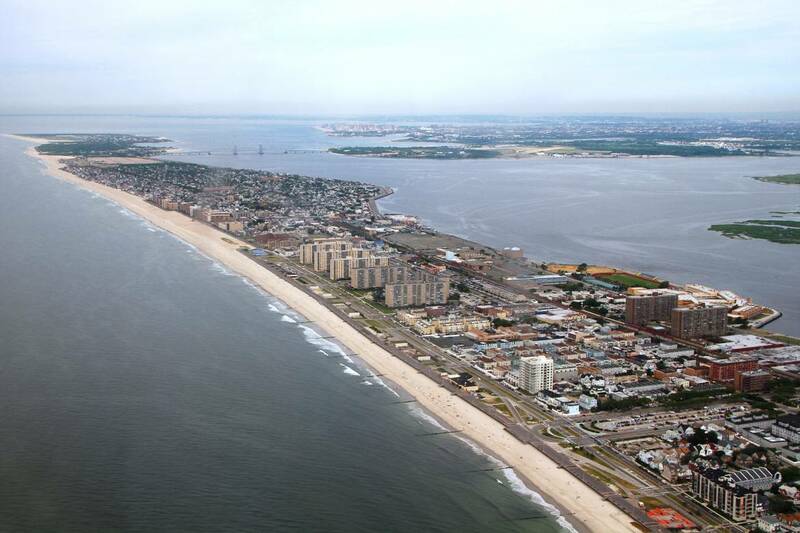 South of Jamaica Bay is the Rockaway Peninsula, which features some truly spectacular beaches where you can enjoy the blue waters and cool sea breeze of the Atlantic Ocean. In summertime, the Rockaway beaches, such as Breezy Point Tip, Jacob Riis and Rockaway Beach, make for a great day trip away from the heat of the city. Check out our Top 5 Beaches in New York City for more beaches in the area. For a more urban experience, Queens also offers some great shopping options! Steinway Avenue in Astoria is the place to go for awesome deals on fashion, as is Jamaica Avenue in Jamaica. Meanwhile, Ditmars Boulevard and Austin Avenue offer everything from small boutiques to big chain stores. 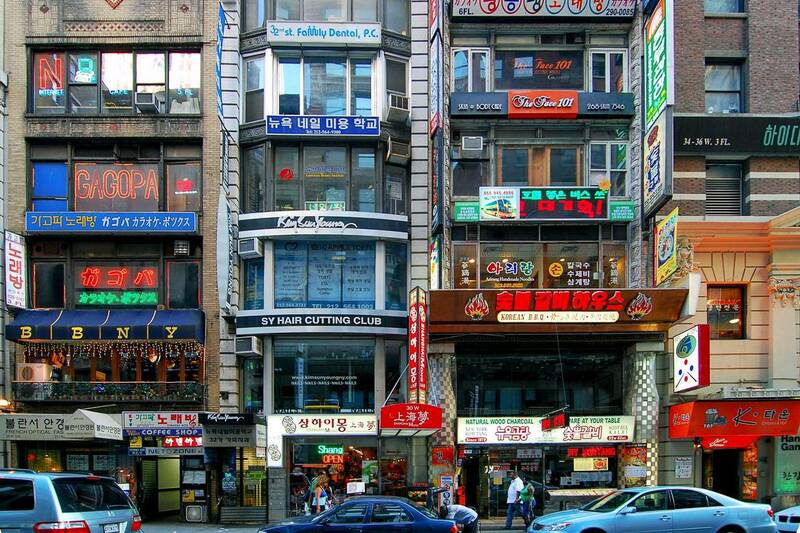 You’ll also find many malls in Queens, offering a plethora of shops all beneath one roof. 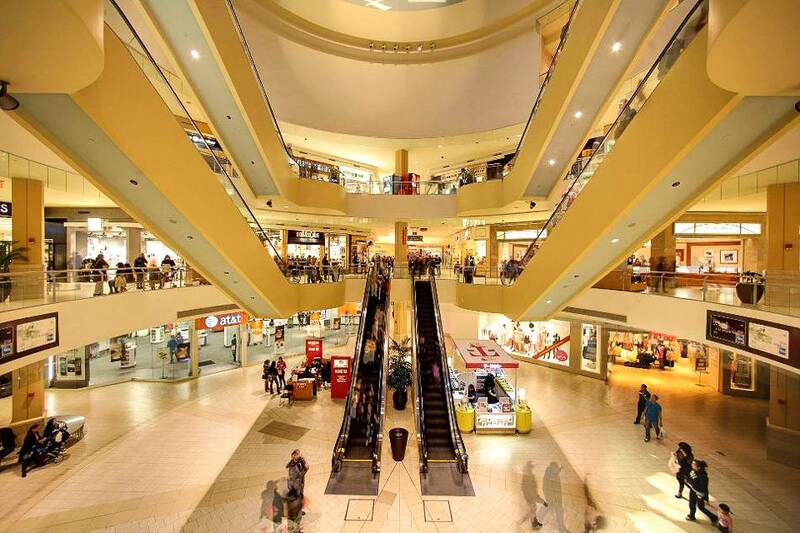 Queens Center Mall has a huge selection of brand stores, such as Macy’s, H&M, JC Penney, Forever 21, Banana Republic, and also a Bath & Body Works and a Disney Store. Queens Place Mall is slightly smaller, but has a great selection of stores such as a Target and Designer Shoe Warehouse. Rego Park Center is a lovely open-air mall that offers some great discount stores such as Century 21, which is much less crowded than the one in Lower Manhattan, and Costco. The SkyView Center, Atlas Park and Bay Terrace are other nice malls in the area. Farmers markets have become popular all over in New York City, and Queens has some fantastic local greenmarkets. On Sundays, the Jackson Heights Greenmarket boasts fresh produce such as fruits, vegetables, dairy and more, while the Forest Hills Greenmarket features fresh produce, wine and also holds cooking demos. Both markets close at three o’clock in the afternoon, so be sure to come early! The Sunnyside Greenmarket near Lou Lodati Park is growing fast, and is well-known for its delicious baked goods! The market is open on Saturdays. Other great farmers markets in Queens include the Queens Botanical Garden Farmers’ Market, Astoria Greenmarket and Jamaica Farmers’ Market. People coming to New York City often don’t immediately think of Queens when looking for accommodation in the city. This is a real shame, as by staying in Queens you can save a lot of money on a living space. From Queens you can travel to both Manhattan and Brooklyn in mere minutes with the subway, so it’s a great base for a New York City holiday. 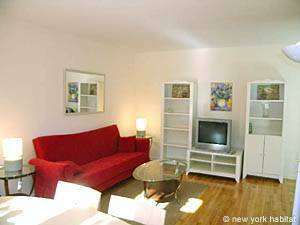 Have a look at our vacation rentals in Queens if you’re looking for holiday accommodation. If you’re coming to New York City for a longer period, to work or study, living in Queens is a fantastic option. The furnished apartments in Queens are very affordable compared to many other areas of the city, and by staying in Queens you’ll get to experience what it’s truly like to live in NYC as a local! You’ll have a fully equipped kitchen as well, so you can make good use of all those great farmers markets in the borough. If you’re a student or intern, renting a furnished room in a Queens apartment can be a real money saver. Living with one or more roommates also means you’ll meet new people without any effort, and can set out to explore the neighborhood together. Even if you’re working or studying in Manhattan, the commute from Queens really is amazingly easy and fast. Coffee in New York is some serious business, and there are several cafes in Queens that are at the absolute top of the coffee chain in the city. The amazing baristas at Sweetleaf on Jackson Avenue serve fresh fair trade coffee and some delectable baked goods to boot. Coffeed on Northern Boulevard grinds its own beans and makes a mean pour-over coffee. Odradek’s Coffee House on Austin Street has a great atmosphere, and besides coffee also serves some delicious teas. Norma’s on Catalpa Avenue is a lovely café that serves great coffee and tasty baked goods and sandwiches. Other great coffee shops in the area include Cafe Bench, Breadbox Cafe, Communitea, Bakeway, Fix, and New Post Coffee Shop. 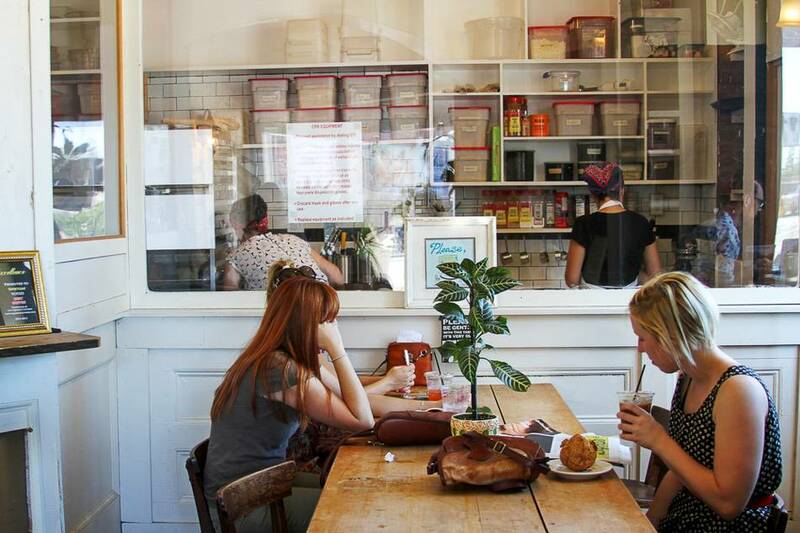 Check out our Top 10 Coffee Shops in New York City for more great cafes in New York City. 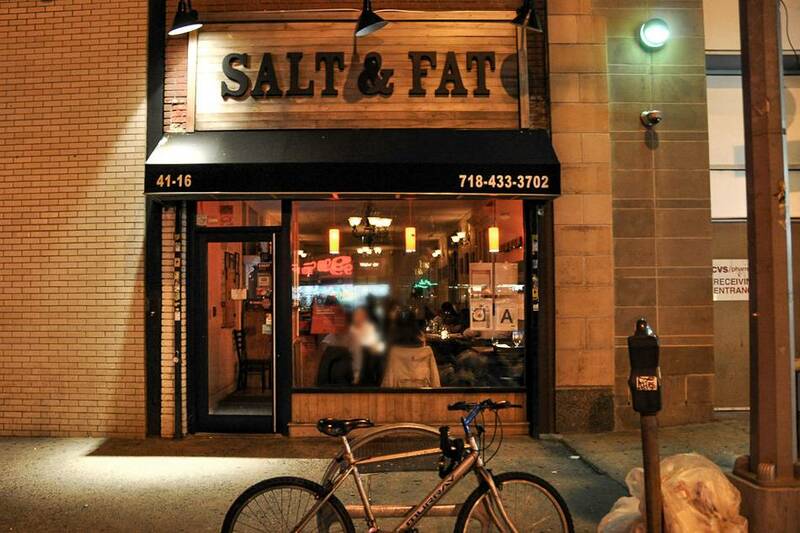 When it comes to restaurants in Queens, you’re in for a real treat. Generally speaking, you can find every major cuisine of the world in different neighborhoods of Queens. If you’re craving Greek food, head to Astoria; visit Flushing for Chinese; you’ll find Indian in Jackson Heights; Italian in Corona; and Romanian, Mexican and Irish food in Sunnyside. This is just a general overview, but the following restaurants will make a foodie’s heart beat faster: SriPraPhai on 39th Avenue serves delicious Thai food, while Nan Xiang Dumpling House on Prince Street serves some of the best dumplings in New York (and that’s saying something). Taverna Kyclades on Ditmars Avenue serves authentic Greek food, while Salt & Fat on Queens Boulevard is a great Asian-American fusion restaurant. Jackson Diner on 74th Street is a fantastic affordable Indian buffet restaurant. Seva Indian Cuisine and Sugar Freak are both also outstanding. See our article Tour the World with Food in New York City for more culinary treats in the city. As for nightlife, Queens offers a variety of options. The Bohemian Hall & Beer Garden on 24th Avenue is the oldest beer garden in New York City, and one of the most popular places to head to in the summer. Sweet Afton on 34th Street is a great Astoria bar with a good beer selection and delicious cocktails. Another Astoria bar, DiWine on 31st Avenue, is cute, cozy and has a good wine selection. Dominie’s Hoek on Vernond Boulevard is another great bar with a nice bohemian vibe. Austin’s Ale House and Penthouse 808 are two other good bars in the area, and you’ll also find many great Irish pubs in Woodside. We hope you’ve enjoyed this introduction to Queens! Of course there’s much more to see in the area that we didn’t get a chance to mention here. What’s your favorite landmark in New York City?